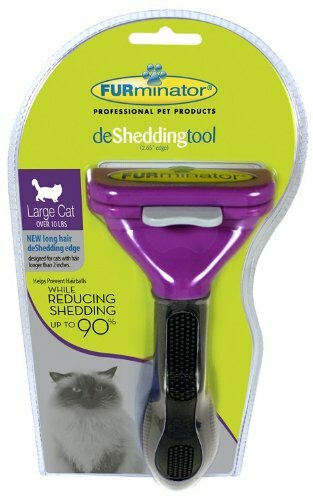 Finally gave in and spent the money on a Furminator about a year ago. So glad I did! It works wonderfully and the cats like it or at least tolerate it. I’ve loaned it out to friends and they liked it too. Including a short haired dog 🙂 This is the comb we bought and use it on both our short and long haired cats and like I said it worked great on a small short haired dog too.